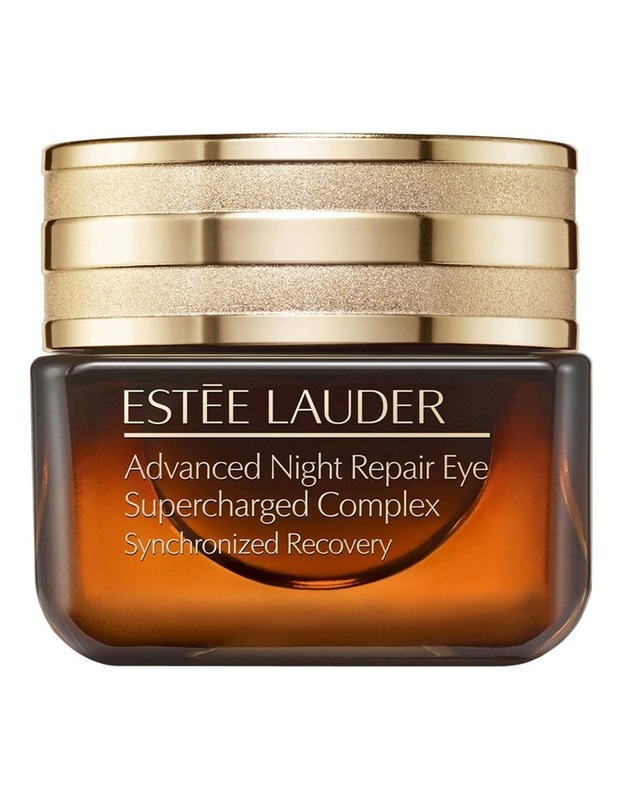 Estee Lauder Advanced Night Repair Eye Supercharged Complex Synchronized Recovery. The sparkle of youth is in your eyes. REPAIRS Dramatically reduces the look of every key sign of eye aging, including puffiness, lines and dryness. PREVENTS free radical damage with 8-hour anti-oxidant powerpart of our multi-action anti-pollution defence technology. Includes our exclusive ChronoluxCB to help promote skin's natural repair process, which is vital for eyes that look younger, renewed and recharged. The lightweight GelCreme texture absorbs quickly, leaves skin feeling soft and silky. Apply AM and PM to clean skin around eye area.